There's an open to 25,000, an all-in from Steve 'Chainsaw' Dempsey for 268,000, then an undershove from Shooting Star Moshin Charania for 163,000. Action folds back around to the original raiser who finds a call to put both players at risk. 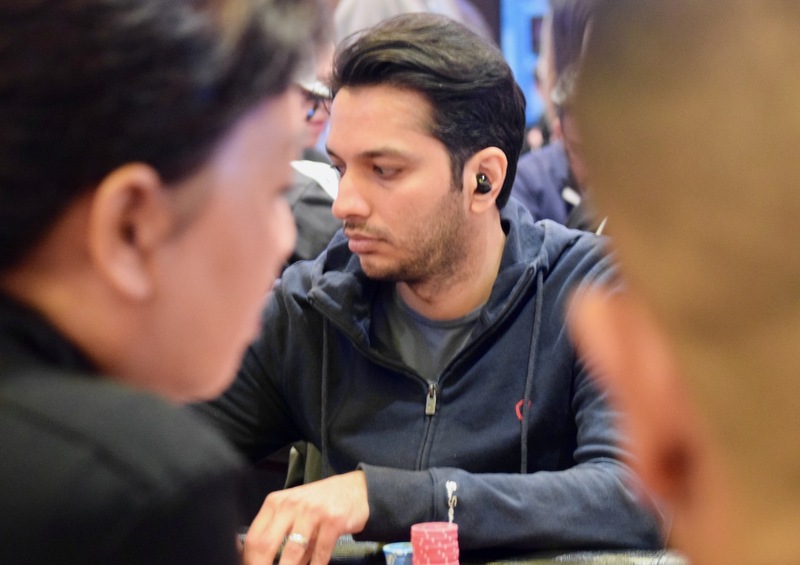 The board runs out [2d][7d][5h][4s][Tc], Charania tripling up to 499,000, Chainsaw takes the sidepot, sliding back to 210,000 and the challenger drops to 385,000.